This entry was posted in Art, News, Recordings, Shortwave Radio and tagged 2017 Winter SWL Fest, David Goren, Wave Farm on April 19, 2017 by Thomas. Shortwave Shindig rebroadcast via WRMI tonight! 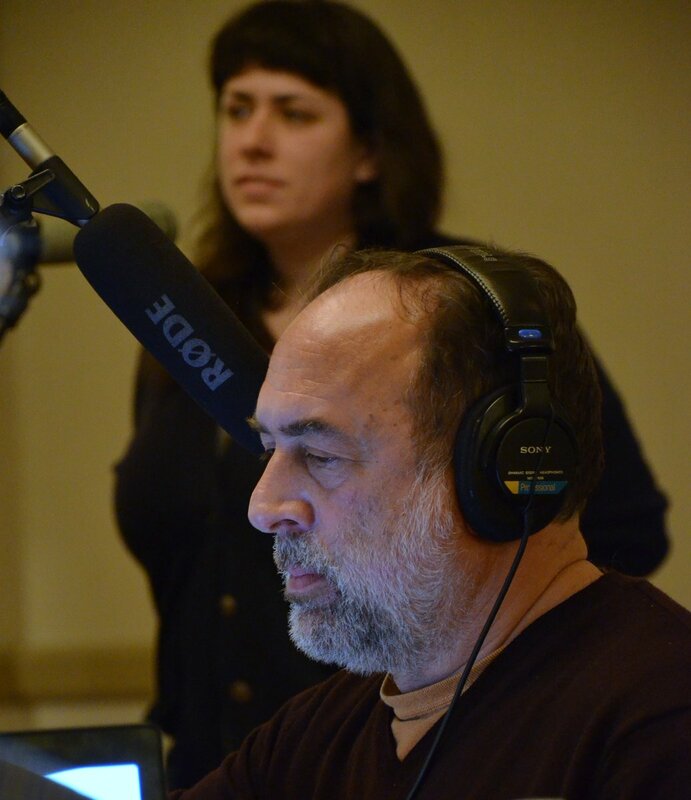 Jess Puglisi of WGXC (Wave Farm) and David Goren at the 2017 Shortwave Shindig live broadcast. Repeat shortwave airing of the Shortwave Shindig on WRMI — Saturday 3/11 0300 UTC, same time as last week; same frequencies (9395 aimed north, 6855 aimed west). Thanks to David Goren and Jeff White for arranging this!! Will update as on-demand / streaming availability is determined. 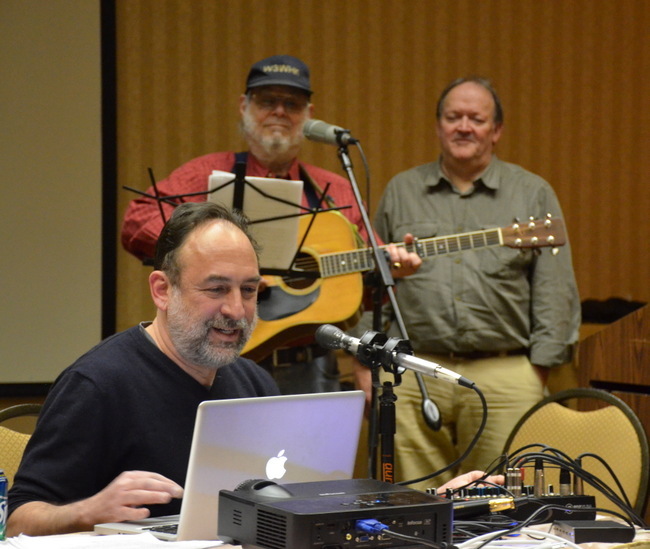 David Goren (left) and Richard Cuff (right) during the Shindig live broadcast. Note that for those of us in North America, the Shindig rebroadcast will take place at 22:00 EST tonight (0300 UTC Saturday) on 9,395 kHz aimed north and 6,855 kHz aimed west from WRMI. I plan to record the broadcast tonight as propagation was so poor last week, very few listeners could enjoy it. This entry was posted in News, Shortwave Radio, What's On Shortwave and tagged 2017 Winter SWL Fest, David Goren, Shortwave Shindig, Shortwave Shindig Frequencies, Winter SWL Fest, WRMI on March 10, 2017 by Thomas. 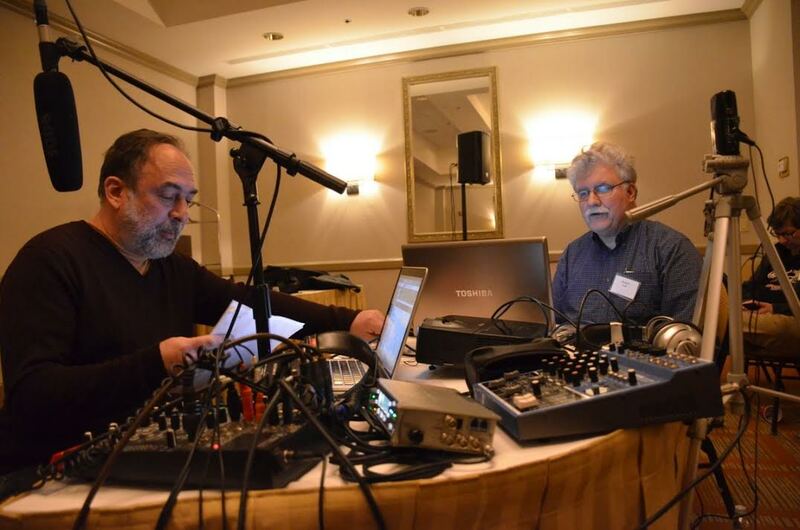 Join David Goren and friends for the annual Shortwave Shindig, a late night listening hang featuring live music, interviews and audio pieces exploring the history and aesthetics of the shortwave listening experience. Festivities begin at 9:15pm EST. Then at 10 pm EST we’ll go live on 6855 khz via WRMI, Radio Miami International, for a three hour broadcast including the best of Short Waves/Long Distance, an open call for shortwave based audio work co-sponsored by NASWA The North American Shortwave Association and Wave Farm, a media arts organization. Short Waves/Long Distance celebrates the 30th anniversary of the Fest, and the 20th Anniversary of Wave Farm. This entry was posted in News, Shortwave Radio and tagged 2017 Winter SWL Fest, David Goren, Shortwave Shindig, Shortwave Shindig Frequencies, Winter SWL Fest, WRMI on March 3, 2017 by Thomas. This entry was posted in News, Schedules and Frequencies, Shortwave Radio, What's On Shortwave and tagged 2017 Winter SWL Fest, David Goren, Shortwave Shindig, Shortwave Shindig Frequencies, Winter SWL Fest, WRMI on March 3, 2017 by Thomas. This entry was posted in News, Schedules and Frequencies, Shortwave Radio, What's On Shortwave and tagged 2017 Winter SWL Fest, David Goren, Shortwave Shindig, Shortwave Shindig Frequencies, Winter SWL Fest, WRMI on February 27, 2017 by Thomas.